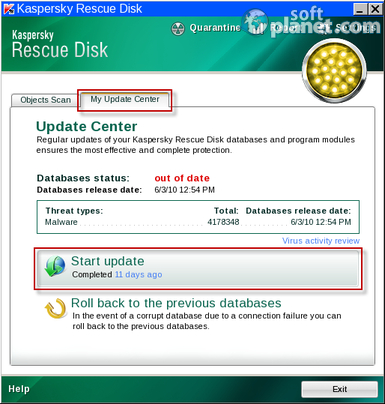 SoftPlanet makes it possible for everyone to get free Kaspersky WindowsUnlocker download directly from our servers. There is no registration needed for downloading. Every day we use software programs that do a great job in accomplishing tasks and making our lives easier. In fact a single software program, when wisely worked with, can do so much in a single day that it would take us a month. Everything would have been perfect if it wasn't for malware – this is malicious software that installs on your PC in secret and does bad things to you and your computer. Some of this malware is especially bad as it is capable of hijacking your PC and demanding money from you in order to render it usable once again. Don't despair – just download and use Kaspersky WindowsUnlocker 10.0 – this software product will eliminate such software and will make your PC usable once again. 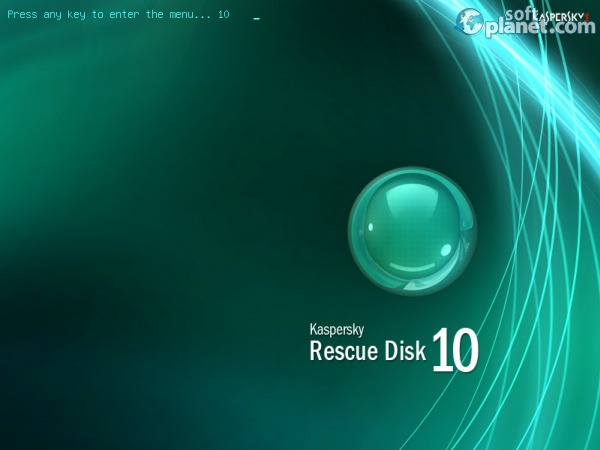 Kaspersky WindowsUnlocker 10.0 is some interesting and capable software. It is a malware fighting solution but it does not work in the usual way. Its main function is to eliminate ransom malware from your PC – malicious software programs that lock up your PC and then demand money from you in order to unlock it. Kaspersky WindowsUnlocker 10.0 does a great job saving your PC but there's more to it – this product is totally free, which means you will not have to spend a single penny on it. In addition it does not need to be installed because it assumes Windows has already been locked so it runs on its own separately from your OS. It is a bit hard to say that Kaspersky WindowsUnlocker 10.0 has an interface as the program runs when you boot from the device this app is located on; in fact it is bootable software itself. When you boot from it you will see a DOS-like environment but it can't be any other way as this software does its job before Windows loads. We can talk about an interface when you load it on another device – there you will see a simple Windows program window that will let you load the contents of the program on an external device. All you will see is a button that does exactly that and then a bar that lets you choose the drive that will host Kaspersky WindowsUnlocker 10.0's files. In order to use this program and then clean your PC you must load its files on an external drive that you can boot from. When you do you will see a DOS-like interface that will present you with a number of options and instructions. Just follow them and let the program do its job. Once it is done you will be able to boot back into Windows. Being free from ransom malware is easier than it may seem – simply download and use Kaspersky WindowsUnlocker 10.0. This free but very capable program will clean your PC from such software rendering it usable once again. It is easy to use, it does not need to be installed and it works – what more could you want out of it? Our security scan shows that Kaspersky WindowsUnlocker is clean from viruses. The current version of Kaspersky WindowsUnlocker has been scanned by our system, which contains 46 different anti-virus algorithms. That ensures that Kaspersky WindowsUnlocker 10.0 is 100% safe for your computer.